The machine consists of a round disc with a vertical shaft spining at high speed at the bottom of cylinderical chamber. The cylinderical drum is called bowl and the spining disc is called a friction plate. The friction plate has a groove pattern to increase the friction with the product. When the extrudes are charged into the spherodizer, they ate thrown to the end of spining plate by centrifugal forces. 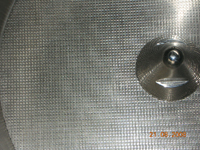 By the contact with the plate, the extrudes are cut into short cylinderical segments which are gradually rounded by the collisions with the drum wall and the plate probabilities of fines generated during the process is there, these fines will adhere on the surface of the spheres again they can get under the friction plate, through the gap between the plate and the wall. The fines generated under the friction plate will be discharged from the machine by means of a propeller after a certain retention time, the particles have obtained the desired spherical shape, then the discharge is via centrifugal force. The on going action of particles colliding with the wall and being the thrown back to the inside of the plate creates a rope movement of the product along the wall. The continous collision of granules with the wall and the friction plate will gradually turn cylindrical, is essential for optimum spheronosation. The extrudes from the extruder are converted into spherical beeds due to the centrifugal force created by the high speed rotation of plate. 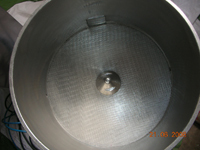 The gap between the chequered plate and drum is reduced to minimum to avoid powders from falling down & beeds being crushed during the Spher’oidization proocess. 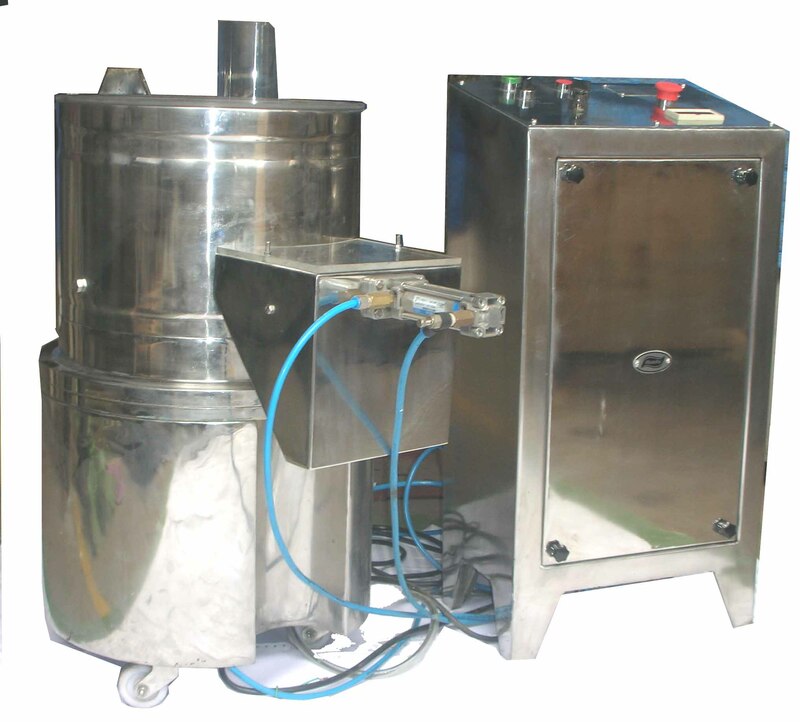 The RPM of Spher’oidizer and choosing correct plate with proper formulation are the key factors. Each extrudate that comes in contact with the chequered plate, in then broken in length to its diameter, due to the tumbling & rope effect of the beads get converted into spheres. Compressed connection is provided to facilitate rope formation and avoid crushing of pellets.